The egg was $3 so I brought it home to decide what to do with it later. 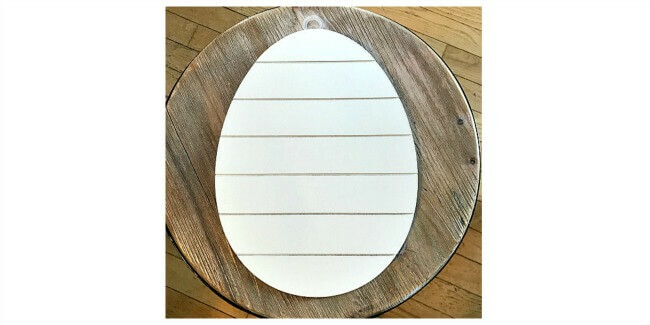 I thought about printing a vinyl sticker with my Silhouette machine but the egg has shiplap type cracks in the wood and the vinyl might not work. I thought about using a stencil but decided instead to hand-paint a sign using a Sharpie Paint Stick. When you click on the bold Amazon affiliate links you will be taken to the products I use for this project. 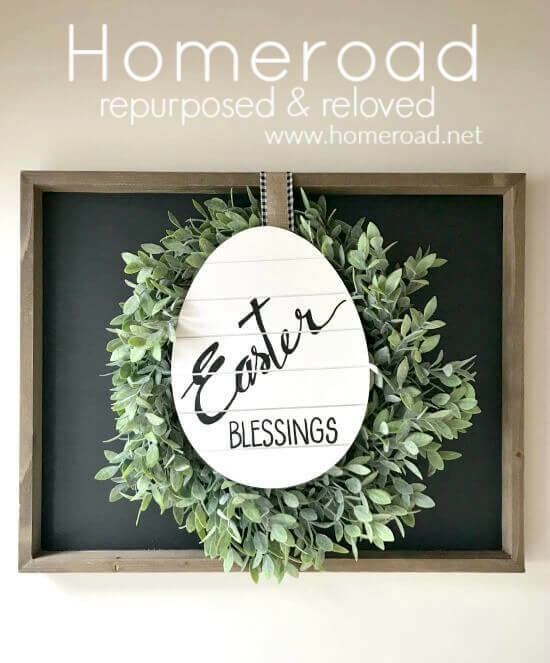 but here is where you can order what I find success using at Homeroad! 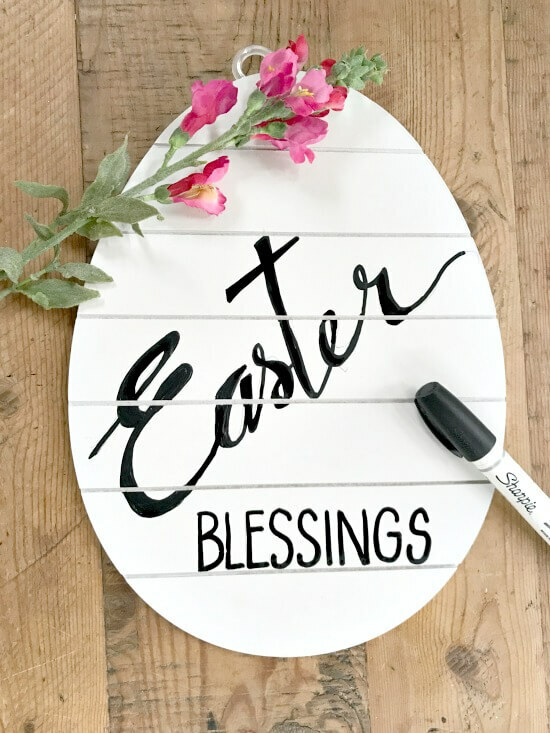 I drew the words onto the egg pallet with a pencil first then used the Sharpie Paint Stick to paint over it. When the paint dried I used a white eraser to erase the pencil lines. This little project couldn't have been easier or more inexpensive! 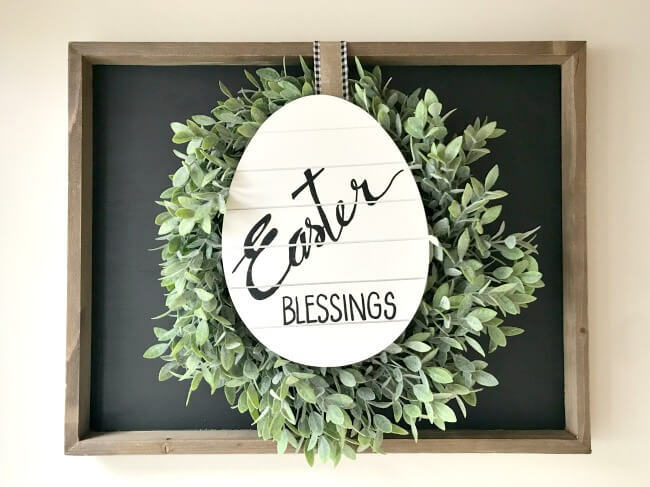 I hung the egg up on a chalkboard wreath I made a while back. I like decorating this chalkboard and wreath for the holidays. 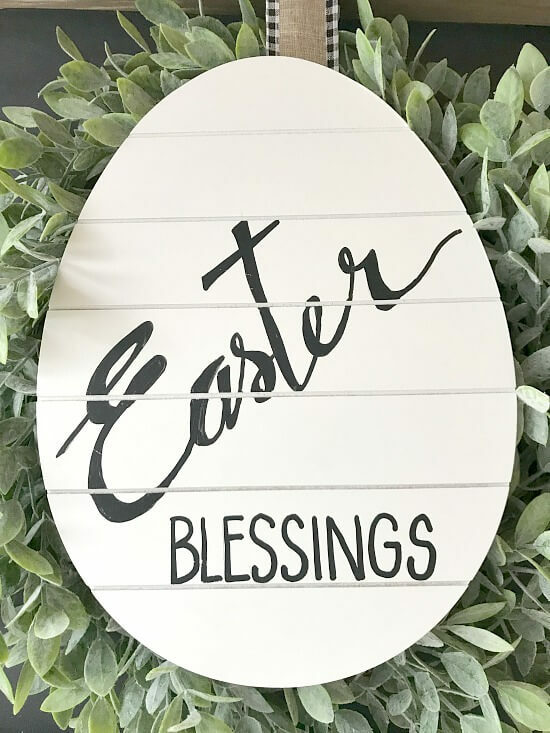 A cute project that you don't need any special machines or stencils to make for Easter. Thanks for visiting and I hope you have a Happy Easter! send my latest project straight to you. That is just so sweet and perfect for the holiday! Thanks Kim and don't forget EASY!